I have written a number of posts on the problem of compliance with U.S. tax and reporting requirements . Most people want to be and remain in compliance. My previous posts have opined that: the IRS and lawyer fear mongering coupled with complexity have made compliance difficult. The simple fact is that most people don’t know what to do. Taxpayers do NOT trust the IRS. Furthermore, the “not knowing what to do” is having a terrible effect on people’s lives (to the extent that they still have one). These views are echoed by the Taxpayer Advocate Report to Congress. Interestingly, I realize that none of my posts has focused on what may be the single biggest obstacle to compliance. The Taxpayer Advocate Service report to the US Congress (released on January 11, 2012) is critical of the complexity and punative nature of US tax law as it applies to US citizens residing abroad. Page 154 of the report compares the average cost to prepare returns for taxpayers residing in the US and those residing abroad. For taxpayers residing abroad return preparation can cost $1,000 to $2,000 PER RETURN (the report cites two separate studies). For taxpayers residing in the US return preparation ranges from $173 and $373 per return. At this point, given the complexity of U.S. tax filings, the IRS requirement that paid preparers must be registered with the IRS, and the shortage of people willing to take this on (one CA told me that he simply will no longer accept American clients), I suspect that this $1000 – $2000 will be for the most simple returns. (For those who are either an employee or unemployed.) If you are carrying on a business (particularly if it is a corporation) it will cost much more. What does this mean in terms of the costs of cleaning up past non-compliance? What will be the accounting and legal fees? The simple reality is that most U.S. citizens do not have the money to bring themselves into compliance. Do the arithmetic and see what the minimum cost will be. The IRS has recently reopened OVDI. There are many U.S. citizens who simply cannot afford the financial cost of entering this program. What are they to do? They will simply drop out of the system and never return to the U.S. They will never apply for a U.S. passport. Those who do not currently have another citizenship will become citizens of another country. In other words, they will vanish. Furthermore, once you pay the costs of coming into compliance, these financial costs must be incurred on an ongoing basis. The fear of IRS terrorism and anxiety will continue for life. Let’s consider this cost on an annual basis. Assume an annual cost of $2000. Tax preparation fees are not deductible under Canadian law. This means that the $2000 must be paid with after tax funds. Income tax rates are high in Canada. Assuming a combined federal/provincial rate of 33% this would mean that $3000 of your annual income is required to fund your U.S. citizenship. What does this mean? It is the cost of a vacation. It could be the cost of your car insurance. It is money that can go into your child’s RESP. It is $3000 that most people simply don’t have. Where does the $3000 go? For the most part to fill out forms which demonstrate that you owe no tax. In addition to the $3000 there is the tremendous cost of LCUs (Life Credit Units) and the tremendous wear and tear of U.S. tax and IRS anxiety. Can you afford the financial cost filling out forms for the U.S. government? Can you afford the cost of not being able to do proper retirement planning in your country of residence? Can you afford the emotional cost and worry? Can you afford the time it takes to complete U.S. tax forms? Are you prepared to deal with the possible effects of U.S. citizenship on your marriage (if you are married to a non-U.S. citizen)? Can you afford to be discriminated against in the employment market because you are a U.S. citizen? Can you afford to deal with U.S. taxes on unearned investment income? Only the wealthy can afford this cost. That said, the wealthy probably see far greater risks to their wealth. For the wealthy the U.S. estate tax is a huge problem. It is quite understandable that more and more people are renouncing their U.S. citizenship. 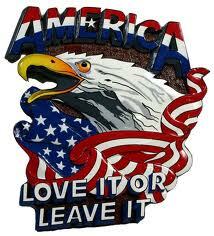 It is no longer an issue of patriotism and it may be patriotic to renounce U.S. citizenship. It is no longer an issue of having emotional ties to the U.S. It is an issue of protecting yourself. U.S. citizenship is a very serious and dangerous “life liability”. FATCA – the neutron bomb of the financial system – will turn U.S. citizens into “untouchables” outside of the United States. U.S. citizens will have trouble getting basic banking services. Non-U.S. citizens will not want U.S. citizens as business partners or shareholders. The cost of IRS compliance is too great and too risky. In other words, if you think things are bad now – just wait until January 1, 2013. U.S. citizens are being driven to renounce U.S. citizenship. But, even this comes at great cost. should consider renouncing at the earliest opportunity. Remember that the effects of inflation will increase the value of your assets to the two million mark. In Toronto and Vancouver a nice but unspectacular house could cost two million dollars! Renunciation is not for everyone – Who are the people who are unlikely to renounce? Renunciation is a very personal decision. It is clear that the IRS is “hunting” U.S. citizens living outside the U.S. There are few benefits to U.S. citizenship. There are substantial costs to U.S. citizenship. All of these problems are rooted in the fact that the U.S. has a system of citizenship-based taxation. Why? Nobody knows. Certainly the U.S. doesn’t know. In fact, citizenship-based taxation is harmful to the U.S. economy. Citizenship-based taxation is eroding U.S. capital. Citizenship based taxation hurts the economy of the United States of America. My advice: Stop citizenship-based taxation and repeal FATCA. This entry was posted in Are you a U.S. citizen?, Citizenship-based taxation, FATCA, FBAR and reporting, Land of the free, Non-U.S.. investments, OVDI Compliance, Renunciation, Social disadvantages of U.S. citizenship on January 17, 2012 by renounceuscitizenship. Excellent post. I think of the young man who says he can’t afford another $1-2K out of their budget. What young family can do that? I appreciate especially that you are building a real resource of useful post upon post. Thanks. This article is for me nonsense. I earn about 90k/year and I hire a tax preparer in the U.S. to do my U.S. taxes and she charges me and my wife. It costs me 300-400 dollars depending upon the year to do my Federal AND State income taxes. We have property in the U.S. and abroad, it is not just a simple tax filing, but she is good and is a professional. Most of my expatriate friends go to to “local experts” and waste their time and money IMO. Unless one is loaded with money (not most of us) filing is not that hard, nor is doing the FBAR filing all that much of a problem.. It blows my mind that Americans whom I know make the effort to work overseas and then are too lazy to file their tax returns and instead get all bent out of shape about simply filing their taxes. Most can simply use the foreign exclusion anyway. Again, to me this article was way too much hype and does not effect 99% of ex-pats. Not sure where you come up with only this minor expense, but that has NOT been my experience at all. Then there is the cost of Life Credit Units, LCUs, preparing the data to go into the IRS and Treasury forms FBAR and FATCA. That takes quite a few hours or time as the bank does NOT supply the information in a fiscal calendar year that the IRS requires, and of course you have to convert all FX to USD and live with those costs. So, either you or your professional are NOT doing something right, are farming the work out to India, or missing something. Maybe your financial life is so simple, wages only, have little savings or accounts, and you put no value on your time to prepare the data that a tax professional needs to fill in the forms that you don’t see this as a cost. Happy it is NOT an issue for you. Go in peace. But by all means give us the info on this great cheap tax prep professional. I don’t know what country you are living in but here in Canada, it is relatively common to see situations similar to the following. There is no reason other than greed for any tax professional to suggest to this person that she do anything other than simply do a “quiet” disclosure. Situations like this are common in Canada and are not a matter of simply being “too lazy” or “getting all out of shape” about dealing with their filing requirements. The rules applicable to non-US residents are intractably complex. There is little guidance available within the IRS on how to comply. The IRS hasn’t given good, clear, guidance on how to “catch up” unfiled returns. The consequences to non-compliance are more punative for those residing abroad than for those who do not. Spend some time with the report. It is well written, researched, and easy to read. It is also (somewhat) comforting to know that someone in the IRS understands the plight of those residing abroad. Remember that resolution begins with understanding. Absolutely what I think and believe. Thank you. “…Which makes all dual citizens in Canada second-class citizens, right, at least for our investments, our retirements, our taxes? I have not been able to get advice from the IRS, from the IRS Tax Advocate, from my financial planner, from my government representatives, from the US Ambassador to Canada – it all goes in a circle and the easy answer – ‘get advice from a US tax accountant’. I do get my US taxes (and Canadian taxes) prepared through a cross-border CA and it is probably my mistake to not have asked the right questions in the first place, but here I am, as are many others, in trouble and also called by the US and even many in Canada, tax evader. Why isn’t there more of an outcry from the US citizens/persons, duals in Canada even with all the IRS instructions we’ve been given, assurances by Ambassador Jacobson, etc.? I believe it is because a big portion of us in this situation cannot afford to go to a US tax accountant, that is even if we can find one that is qualified to help us. I have engaged professionals, not because I can afford to – but because I cannot figure out the instructions, the forms, etc., etc., of the IRS, thereby being subjected to huge penalties for any mistakes I would make. The stress of this for families is unbelievable. These issues, along with the cost of administering tax compliance with tax professionals because the IRS provides no service to the US expats, is addressed in the TAS Report to Congress (http://www.taxpayeradvocate.irs.gov/Media-Resources/FY-2011-Annual-Report-To-Congress-Full-Report / see International section, as well as others ) . Also, ttp://www.irs.gov/newsroom/article/0,,id=252284,00.html / see Taxpayer Bill of Rights – we in Canada are at least missing the following: (1) right to be informed (3) right to be heard 6) right to certainty (10) right to a fair and just tax system . So, many US persons in Canada continue to be hunkered down, heads in the sand, hoping and praying all of this will not affect them – these are hard-working, tax-paying Canadians, now afraid to cross the border, etc., and many, like me, choosing to renounce my US citizenship (which I actually thought I had done when I took my oath of Canadian citizenship in 1975 and at that time being warned that I would be relinquishing my US citizenship). In those times, most did not know of a Certificate of Loss of Nationality so we have no proof of anything that happened, other than our citizenship cards. The US changed the rules midstream so now we all have the millstone of US citizenship around our necks – and the necks of our children born in Canada (and others). This is the cost of US citizenship-based taxation, rather than that of residence-based taxation for most all of the rest of the world. It is insanity and it is immoral. Who is to stand up for us – I had hoped the Canadian government would and I do appreciate what I’ve seen in the media from Finance Minister Flaherty but as far as I see it is not continuing and it is not enough. I have written to my MP, the Finance Minister, the US Ambassador to Canada and the Canadian Ambassador to the US. I have gotten acknowledgements of a couple of of my letters (my MP and one from Minister Flaherty’s office) but no conversation advising on what they might think or actions they are taking on these matters. My only hope is that something is going on in the background that will really solve some of these inequities, perhaps in an updated Canada/US Tax Treaty. It is better than me believing that my concerns are just being ignored. Don’t hold your breath hoping for some sort of a way out through an updated Canada/US Tax Treaty. The one fundamental cornerstone on which all US tax treaties with foreign governments are based is that the foreign government acknowledges the right of the US to tax its citizens who live in that country. That is the prime US objective of all its tax treaties. Good advice — I won’t hold my breath, but neither will I roll over for the US, without a fight for my rights and those of my family — and those of so many without the voice or funds to “comply” and advocate for themselves. I just wish we were being heard — by our government representatives, by the media, by our fellow countrymen. It makes me weary, though, that all my energy can’t be channelled to help society in so many other and more-productive ways. Thank you, Roger Conklin, for all your support. Really good post. You confirmed a lot of what I’ve been thinking the last few days. What is the real cost here to me? What compromises am I being forced to make? How is this impacting my quality of life? Something that may be the last straw for me is my unemployment. I talked briefly to someone and this person seems to think that my French unemployment benefits are TAXABLE in the U.S. Someone, please tell me this is not true…. Hi, Victoria. This IRS document says that unemployment benefits are taxable in the US so likely taxable in every other country in which we happen to reside: http://www.irs.gov/pub/irs-pdf/p4128.pdf. But, I’m waiting for someone to say it isn’t true. Regards. Just received a jello-shot (his term) from Phil Hodgen who has been silent for quite a while. He is headed overseas, and so guess he has time in airports to put something out…. 🙂 Glad to see him back, as I always enjoy his colorful comments. Thought you would be interested to hear what is working. Yup, expatriation! Way to go Shulman, creating new jobs and opportunities for attorneys. However, Phil is one of my favorites, so I am glad he has the business. Is this a Great Country or what?? But expatriation? Yes. Our office is doing a startlingly large volume of business in helping people terminate their U.S. citizenship or green cards. People are voting with their feet. When I go to the Middle East (and I go a lot) people grumble about U.S. foreign policy. But people don’t terminate their U.S. citizenship for that reason, in my experience. They cite U.S. tax policies. Reflexively you think, aha! They don’t want to pay income tax. Well, not exactly. Our best salesman is IRS Commission Shulman and his holy war on U.S. taxpayers who have foreign bank accounts. Bluntly, it is the prospect of facing dozens of required tax forms — sometimes obscure — with monster penalties if you screw things up. This has been the pattern since 2008 when the IRS started gearing up to pursue offshore bank accounts held by U.S. persons. Living a normal life and unintentionally subjecting yourself to gigantic (as in hundreds of thousands of dollars) penalties for a paperwork foot fault strikes most people as unfair. And the people who are doing this are precisely the people you’d want as productive, contributing members of the U.S. society. This is an excellent blog, as are the comments, and a must-read for anyone considering renouncing. I’m surprised there haven’t been more comments, and assume it reflects a rather limited readership. Other than forwarding this to people we each know personally who may benefit from this information, isn’t there a way to get this into the hands of more ex-pats? Six million Americans should be reading this. Thank you so much – limited readership is right. So, feel free to spread the word. Some of these posts have been also posted at http://www.isaacbrocksociety.com which is a great meeting place. Thanks again, really appreciate your taking the time to comment. Also, you can tweet it to a wider readership, which I have done.